Trigger finger is a common condition where the finger clicks as it moves in to a flexed position. 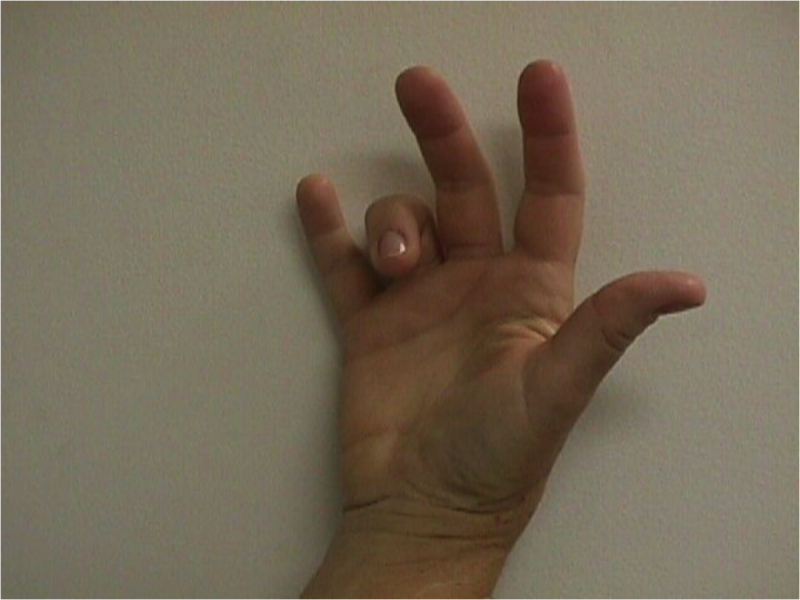 In more advanced cases the finger can “catch” in a flexed position and may require help from the other hand to “release” the flexed position. In the most advanced conditions the finger can be stuck permanently in a flexed position. The tendons that move the fingers start in the forearm and connect the muscles in the forearm with the bones in the fingers. These tendons pass through a “pulley system” similar to a fishing line passing through the eyes on a fishing rod. This system helps hold the tendons close to the bone and maximize their function. The most common cause of triggering of the finger is swelling in the tendon catching on one of these pulleys as the finger moves from straight to bent. Trigger finger can usually be diagnosed without any special tests just by examining your hands and the questions that your doctor will ask you. 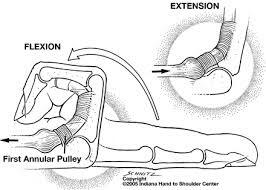 In some cases an ultrasound can confirm the swelling in the tendon and thickening of the pulley system. Triggering of the finger is usually an isolated condition. It can be associated with trauma or repetitive use of the hand. There are also associations with several other conditions such as diabetes, osteoarthritis and rheumatoid arthritis. When it is identified early modification of physical activities or physical therapy directed by a hand therapist can be of benefit in trigger finger. Use of anti-inflammatory medications and a period of rest are also often recommended. 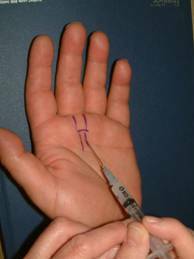 If your trigger finger has been present for many weeks to months it may require treatment with an injection of steroids. This injection can be done in the rooms by your surgeon. In the early stages of trigger finger steroid injections can be very successful with some studies reporting up to 80% of patients getting better after steroid injection alone. 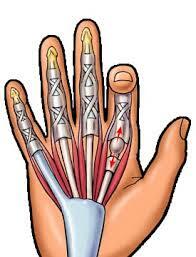 If this is suitable for your finger this can often be performed at the time of your initial consultation. 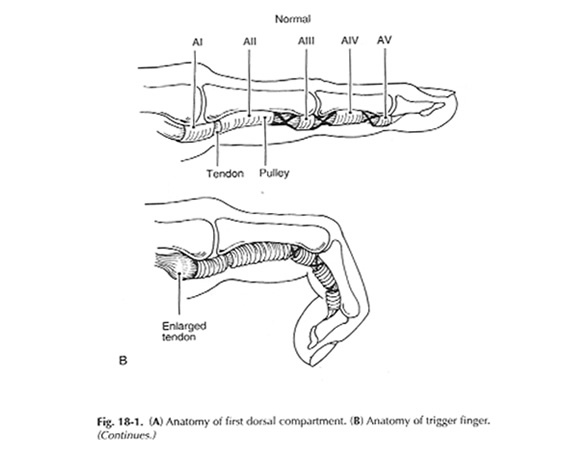 If your trigger finger has been present for a long period you may require surgical correction. Surgery for trigger finger is very common. The surgery is done as a day procedure in a day surgery facility. It can be performed with local anaesthetic alone or with sedation so you are unaware of the surgery happening. The operation is done through a short 1-2 cm incision in the palm. The pulley that the tendon is “triggering” against is surgically released and the full range of movement of the finger confirmed during the operation. There will be a sticking plaster over sutures in the incision. If your triggering is associated with rheumatoid arthritis or other conditions you may require more extensive surgery. Your surgeon will discuss this with you at your appointment. The finger should be used for light activities from the day following surgery. Heavy activities should be avoided until after the sutures are removed. The sutures will be removed in the consulting rooms between 9 and 14 days after your surgery. Depending on what sort of work you do you may require between 1 day (for most office workers) and several weeks (for heavy manual labourers) before returning to your usual duties. Occasionally your surgeon will refer you to a hand therapist if you are having any problems such as stiffness or soreness after the operation. At your appointment your surgeon will determine which treatment is the most suitable for your condition and answer any questions you may have.